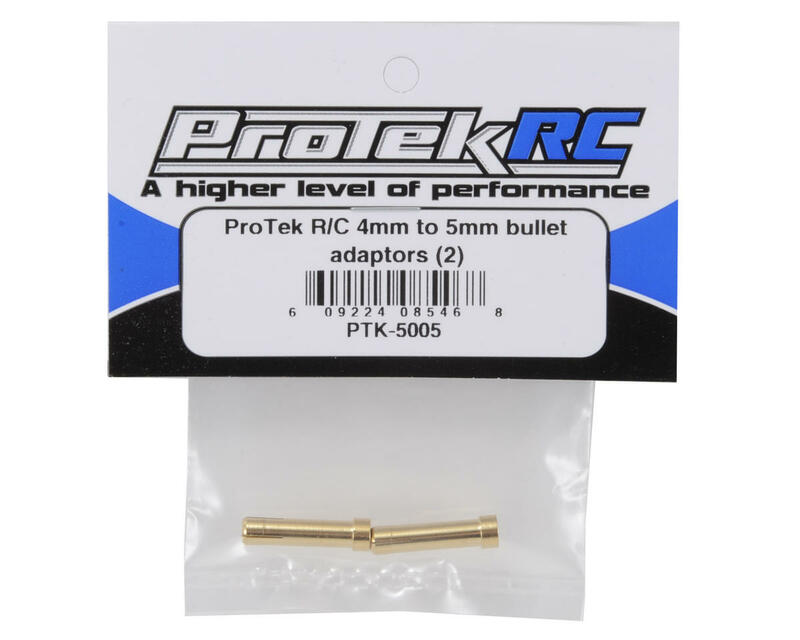 This is a pack of two ProTek R/C 5mm to 4mm Bullet Reducers. These reducers are an absolute must for racers looking to use batteries with a 5mm bullet hole, while continuing to use 4mm bullets on their ESC, and 4mm bullets on their charge leads. 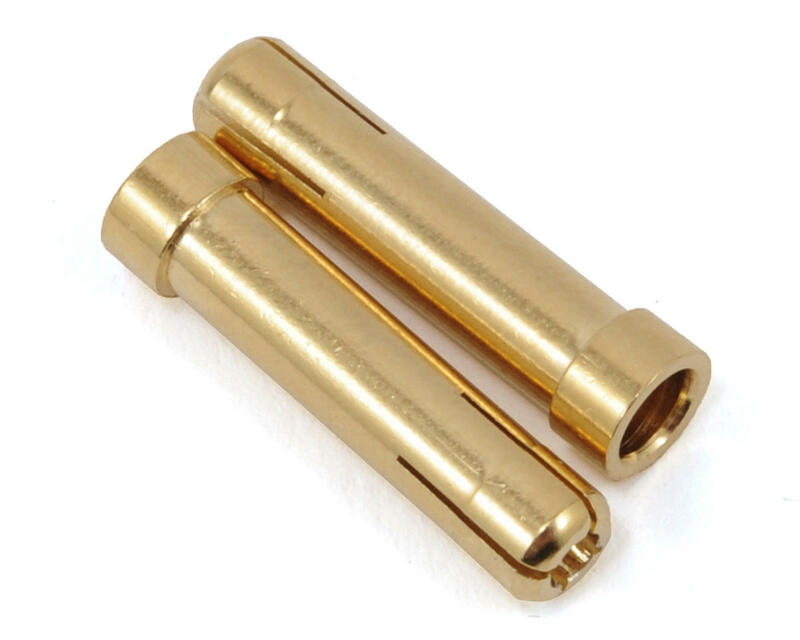 Simply plug these reducers in the 5mm bullet hole in your 5mm battery, and now you have a 4mm bullet hole! All your prior 4mm bullets now fit that 5mm battery bullet hole.